> buffer and memory device. > you face the same problem as with Intel/AMD. The POWER solution to this problem is to put an enormous L3 cache on the processor. 80MB / 8-cores in power7+. This is essentially the place we are at with low latency memories. It is cost prohibitive to build an entire system memory from high cost / low latency memory. Also, as capacity goes up, that latency becomes less low. The alternative is to have a small low-latency memory paired with a larger memory to fill that cache. IBM uses that small/fast memory for hardware controlled cache, on the power7. So too have the most recent generations of vector machines from cray and NEC. IBM cell, though a little long in the tooth now, was cool in that it gave the programmer control over that small/fast memory. This impacts bandwidth too. As core counts go up, it's not possible to put enough pins on a chip, to maintain the bandwidth/core that we're used to. 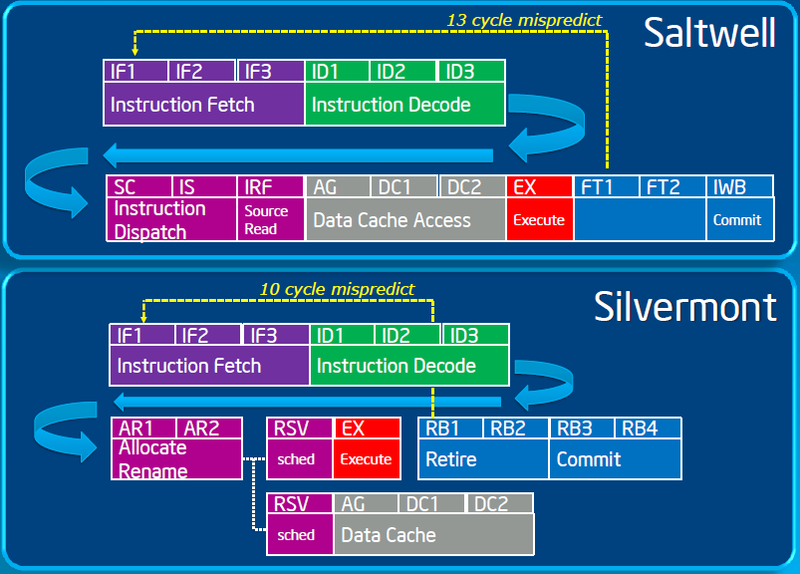 The solution is to put more of that memory on package, or even on-chip. I think we're going to see another level in the memory hierarchy, for bandwidth reasons, if not latency. Hopefully latency comes along for the ride.